I almost always make myself a bowl of oatmeal in the morning to have with some coffee and fruit, but today I decided to let Starbucks do the work and order the Perfect Oatmeal. Have you had this stuff? It’s so yummy! Comes in the perfect size to-go cup with some mixed nuts, dried fruits and some brown sugar. I like to swap the brown sugar for some cinnamon and milk instead. So hearty. So warm. So delicious. So Perfect. Whoever named it was spot on. I’m hoping this healthy breakfast pays off with brain power for my first mid-term later this morning! Posted on October 2, 2012, in Breakfast, College, Dining Out, Healthy Habits and tagged breakfast, diet, fitness, health, healthy, Inspiration, nutrition, oatmeal, starbucks. Bookmark the permalink. 1 Comment. 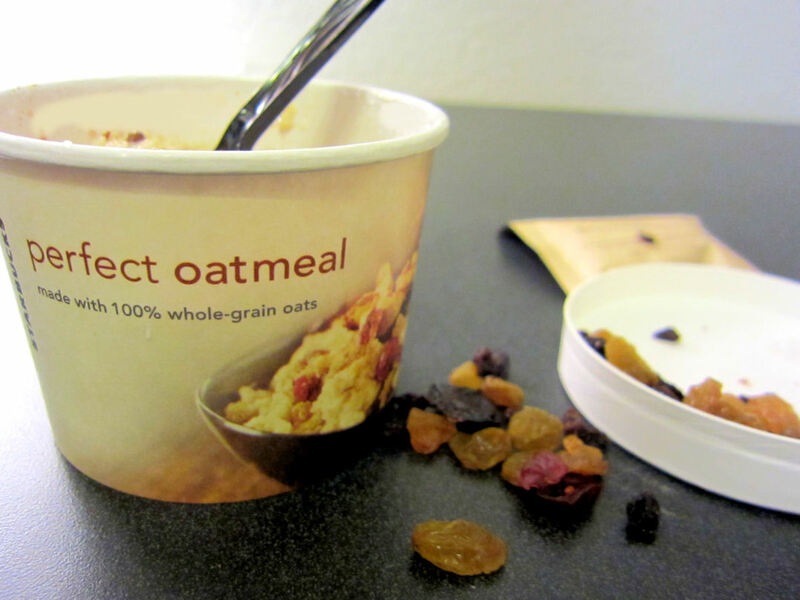 Well………..tell me that “perfect” breakfast gave you the brain power you needed and that you “aced” your exam!!! 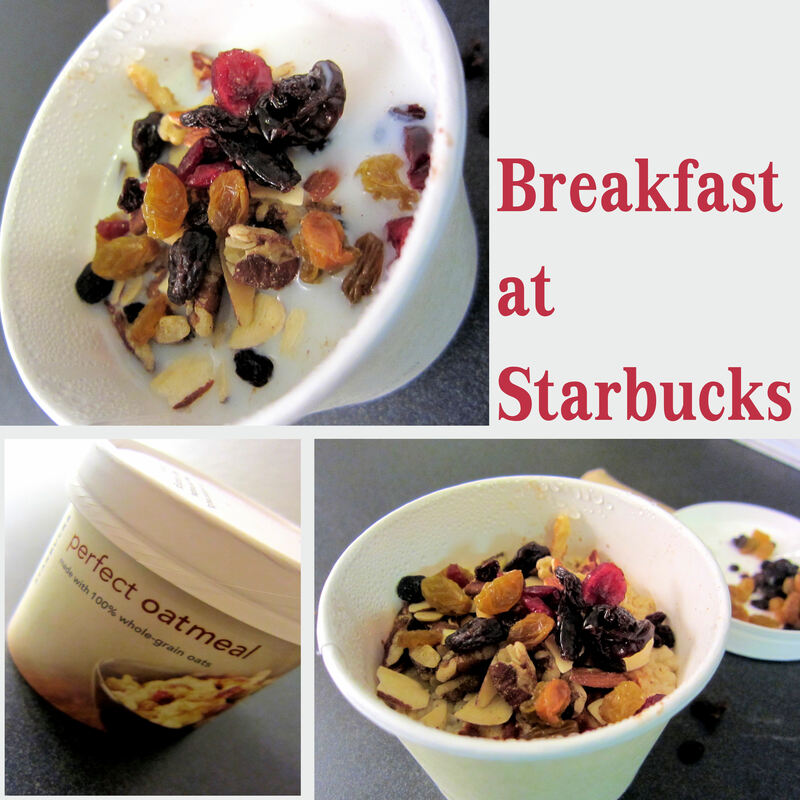 I love my oatmeal breakfasts too, but Starbucks does take it to a whole new level of deliciousness. Ya think they could somehow incorporate “pumpkin” into a fall oatmeal?? Just askin’…….